The wreck discovered by lost scuba tourists off Blacktip Island could be the Caribbean’s legendary Santo Mojito pirate ship. Tiperon Islands authorities announced Thursday the discovery of a previously-unknown shipwreck off Blacktip Island’s west coast. 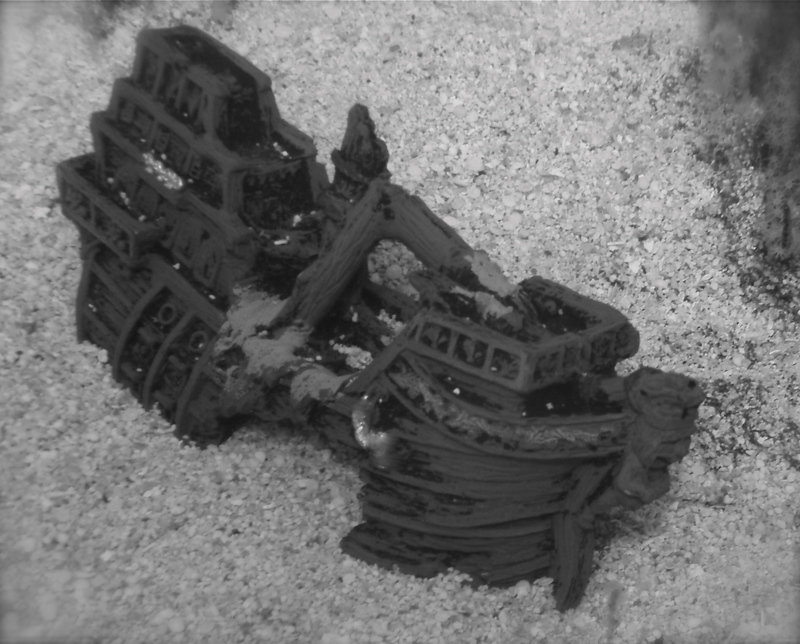 The wreck, possibly dating to the early 18th Century, was discovered by scuba diving tourists. Local maritime experts speculate the ship is the legendary Santo Mojito, which terrorized the Spanish Main under three famous pirate captains. The ship was lost in the Great Hurricane of 1723. “Redbeard absconded with the ship, crew and all, from the docks in Cartagena in, oh, 1712,” island historian Smithson Altschul said. “Blackbeard commandeered it from him in 1718, then lost it to Fauxbeard in what the records famously call ‘a gamme of pokker’ in 1721. “Historians are in consensus that Fauxbeard was the nom de guerre of pirate Mary Read after she faked her death in Jamaica the year before,” Altshul said. The government is flying in experts from the United State and Europe to confirm their findings. In the meantime, authorities are focused on preserving the wreck and its contents. “We’ve cordoned off the area with fishing skiffs until we can positively identify the wreck and inventory its contents,” Island Police Constable Rafe Marquette said. The Caribbean Salvage and Exploration Association is protesting the government’s efforts to protect the wreck, as well as the netting of several of its members.